DAVID LE/Staff photo. 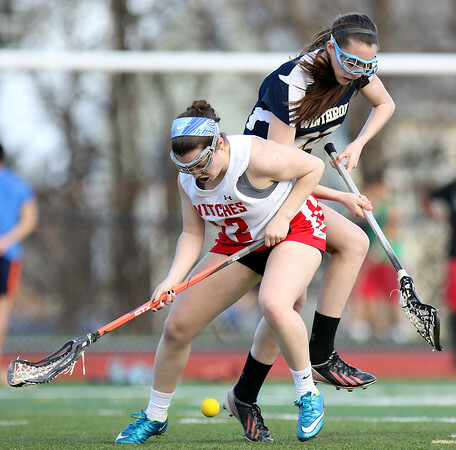 Salem's Nicole Sadoway (12) uses her body to shield off a Winthrop defender as she tries to scoop up a loose ball. 4/1/16.